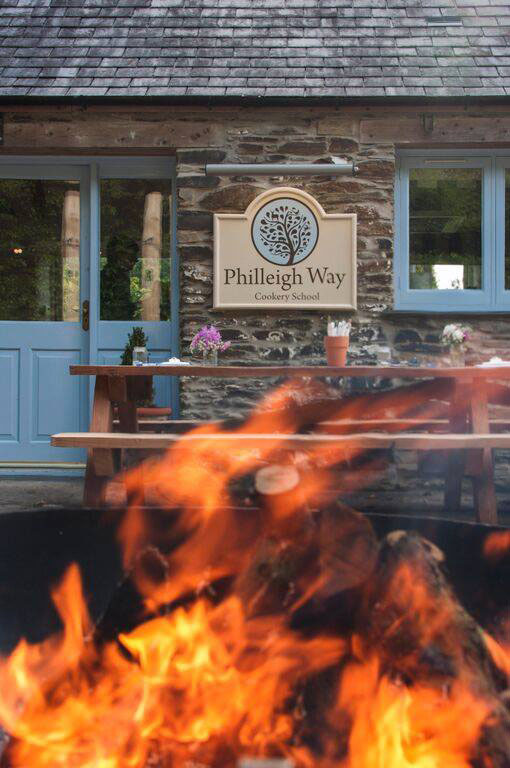 The lovely people at Philleigh Way Cookery School have given us a fantastic prize: two places at their Pysk (the Cornish word for fish) Woodfired Session on Thursday 16 July, worth £30 each. 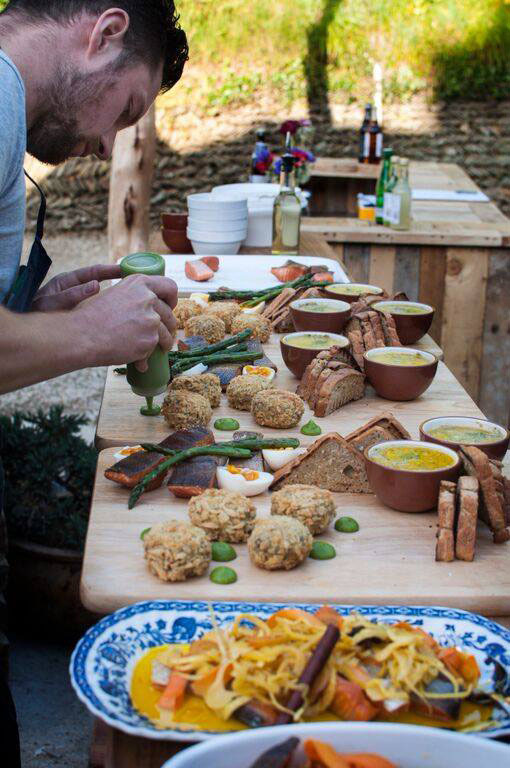 The Woodfired Sessions are new for 2015, and each evening features a feast of Cornish produce in Philleigh Way’s beautiful new dining courtyard. 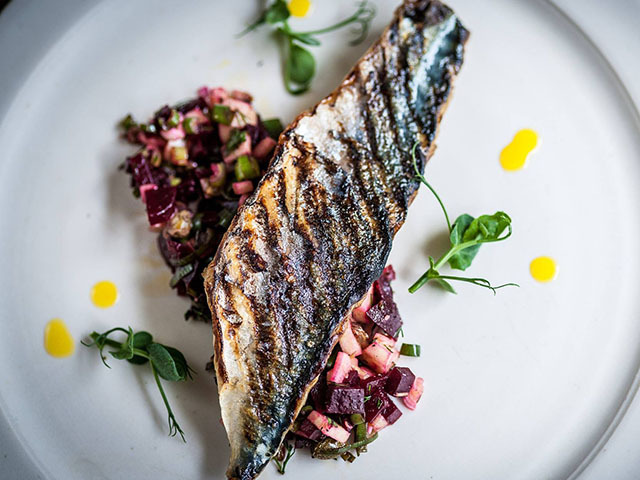 Based around the Argentinian Asado concept, the fish or meat is cooked very simply on the wood grill or in the huge wood oven and served with a variety of mouth watering salads and vegetable dishes. Sharing boards fish cakes with sorrel, peas and beetroot salsa, hot smoked trout with asparagus and soft hen eggs, soused sardines with fennel, carrot and granita, potted smoked mackerel, red onion jam and salted sourdough toast. Fish grilled mackerel with salsa verde, monkfish, chorizo and asparagus skewers, duo of seasonal fish cooked paupiette with potatoes, tomatoes and spinach. Dessert passion fruit crème brulée with cracked black pepper shortbread. Bread fresh bread from the wood oven. Further tickets for the event can be purchased from Philleigh Way, subject to availability, priced at £30 each. All you need to do to enter is fill in the form below. The competition closes at 12 noon on Friday 10 July. Good luck! The prize consists of two tickets for the Pysk Woodfired Session taking place on Thursday 16 June. The evening starts at 7pm with food served from 7.30pm and finishes at 10pm. The prize must be accepted as awarded and is non-transferable. There is no cash alternative. Any extras not detailed in the prize will be charged in full. Employees of Barefoot Media and Philleigh Way, and their families, are not permitted to enter.